Following the events of Hurricanes Harvey and Irma, KPA extends our sincere thoughts to our clients, co-workers, families and friends who have been affected by the flooding and devastation. As recovery efforts begin we want to ensure that KPA is being as helpful as we can in answering your questions. Businesses and families are eager to begin rebuilding but there are dangers to this process that could affect your employees. Floodwaters may contain many hazards including infectious organisms, intestinal bacteria and other disease agents. Precautions should be taken by anyone involved in cleanup activities or any others who may be exposed to flood waters. Avoid contact with flood water due to potentially elevated levels of contamination associated with raw sewage and other hazardous or toxic substances that may be in the flood water. In addition, these waters can carry large objects that are not always visible which can cause injury to individuals in the water. 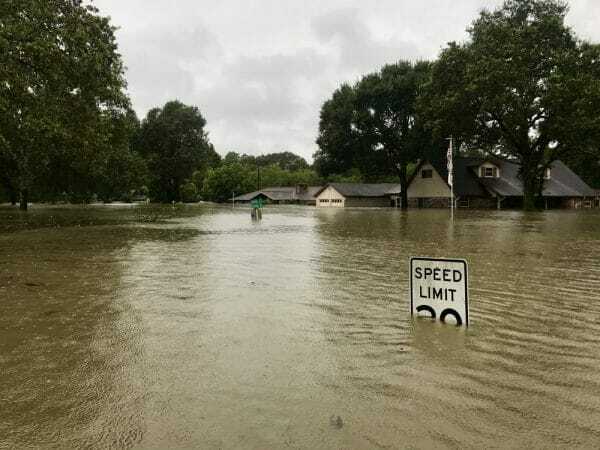 Other potential hazards include electrical shock from downed power lines or electrical wires, and possible injuries inflicted by animals (snakes) displaced by the floodwaters. Do not enter your home or business if the electricity may still be on. Wear sturdy shoes, long pants, long sleeves, safety glasses, and gloves when cleaning up. Generator exhaust is toxic. Always put generators outside well away from doors, windows, and vents. Never use a generator inside homes, garages, crawlspaces, sheds, or similar areas. Carbon monoxide (CO) is deadly, can build up quickly and linger for hours. CDC’s recommendations for precautions for returning after a flood. TCEQ’s recommendations for Managing debris from declared disasters. OSHA’s Hazard Exposure and Risk Assessment Matrix for Hurricane Response and Recovery Work. OSHA’s Flood Preparedness and Response. With two vastly destructive hurricanes that have already made landfall and the possibility of others, being prepared is important. For storm information specific to your area, including possible inland watches and warnings, please monitor your local forecast and/or the National Weather Service forecast office. Shut off utilities, practice electrical safety, avoid water that covers the electrical outlets or where cords are submerged. Avoid driving through standing water. If you come upon a flooded street, take an alternate route. Review the National Weather Service’s Guide for Hurricane Preparedness.